China Dynamics signed a cooperation agreement with four business units under China Shipbuilding Industry Corporation (CSIC). The parties will develop new generation electric ships and new electric ferryboats, with the technology being applied in other suitable vessel types and promoted in Hong Kong and markets globally. The Government of Hong Kong proposed to make a new regulation under the Merchant Shipping (Seafarers) Ordinance to include the latest seafarers’ training requirements as described in the International Code for Ships Operating in Polar Waters of the International Maritime Organization into local legislation. 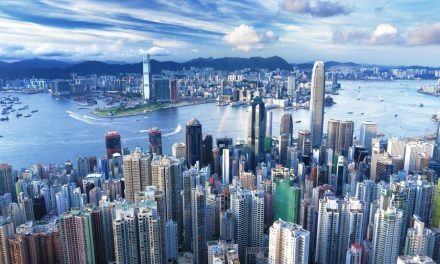 Hong Kong has also proposed to amend the Merchant Shipping (Prevention of Air Pollution) Regulation. Busan Port Authority highlighted that its regular container cargo services increased five times to 268 during February 2018. The figure was based on the database q-from the global analysing institute, Alphaliner. In 2015 the number of its weekly cargo services was 257, in 2016 was 268, whereas it declined in 2017 in 253 because of the bankruptcy in Hanjin Shipping. Cyprus’ deputy minister for shipping stated that the number of companies that are developing their headquarters in the small east Mediterranean island nation has almost doubled in the last six years. This reflects Cyprus’ growing appeal as a maritime business hub. Shipping accounts for around 7% of Cyprus’ economy. AFP reports that Hong Kong fell to seventh place for TEU in 2018, being the first time that the port falls from the global top 5. Neil Davidson, a specialist at Drewry Shipping Consultants, commented that it was the first time Hong Kong had fallen below the top five threshold since they first began compiling global port data in 1979. In its weekly report for 5-11 February, ReCAAP ISC informed of three incidents that took place. Of the three incidents, one occurred on February 6, whereas the other two occurred in January. The incidents in January 2019 were reported to ReCAAP ISC by Contact Point Hong Kong after verification with the relevant agencies. Hong Kong is gearing up to use drones to monitor emissions from ships. Mainly, from 1 January 2019, all vessels within Hong Kong waters are to use fuels compliant with sulphur regulations, not exceeding the 0.5%. The sensors developed have been fitted on the drones and they measure the pollution content present in the smoke plume that is released by vessels. Hong Kong Marine Department issued a shipping note informing of ten pieces of amended and two pieces of new Hong Kong legislation, which implements the latest technical requirements in relation to the construction and survey of ships and the fire safety requirements of ships stipulated in Chapter II-1 and II-2 of SOLAS. Hong Kong Customs and Excise Department and the Mainland Customs jointly seized approximately 8,300 kilograms of pangolin scales and 2,100 kilograms of ivory tusks from a shipping container at the port of Kwai Chung, on January 16. The estimated market value was about $62 million.